Mr. Rehfeldt has over 32 years of legal experience focused in several areas of the law. Handling cases at the appellate and Supreme Court levels since 1982, Mr. Rehfeldt is one of the firm’s lead attorneys in connection with litigation at the appellate and Supreme Court levels. A number of appellate court cases handled by Mr. Rehfeldt have been precedent setting, and attorneys and judges throughout the state of Illinois frequently cite the appellate court opinions issued in those cases. Mr. Rehfeldt has also practiced for many years in the areas of probate, estate planning, and federal income taxation. His estate planning practice includes the preparation of wills, revocable and irrevocable living trusts, irrevocable life insurance trusts, powers of attorney, and living wills. He has lectured on the topics of post mortem estate planning, federal income taxation of real estate, federal income taxation of estates and trusts, and other estate planning related topics at seminars throughout the DuPage County area. In addition, Mr. Rehfeldt has an extensive real estate practice, having represented clients in residential and commercial real estate transactions for the past 32 years. His duties as a real estate attorney include the preparation and issuance of title insurance policies on behalf of his clients through Attorneys’ Title Guaranty Fund, Inc., a bar related title insurance company. 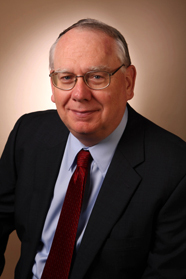 Mr. Rehfeldt is a long-standing member of Attorneys’ Title Guaranty Fund, Inc. Finally, Mr. Rehfeldt practices in the area of corporate law and is corporate counsel for a number of closely held Illinois corporations.